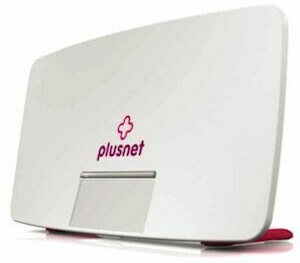 Yorkshire-based “honest broadband” provider Plusnet has a long history. Starting out as Force9 Internet in 1997, the Plusnet we know today was launched as a dial-up ISP in June 2000, adding broadband later the same year. The company was bought by BT early in 2007 but still operates under its own brand name. It offers a varied range of phone and broadband products at competitive prices and enjoys an excellent reputation for customer service and reliability. This type of broadband is ideal for many homes. It provides sufficient speed at an affordable price and is widely available. However, ADSL can struggle to handle the requirements of a whole family or shared house, and heavy users will find the relatively low speed (especially for uploading) to be quite limiting. Superfast connectivity for those who need a speedier connection for transferring large files and handling the demands of a busy household. Fibre broadband benefits from a much faster upload rate too, which is useful for running home servers, hosting online games and operating a YouTube channel, amongst many other things. When signing up for a Plusnet broadband package you’ll also get a phone line - the prices displayed on Broadband Genie are the cost of both the line rental and broadband. Some packages provide internet only, others include inclusive calls, if not you’ll simply pay only for the calls you make. Additionally, you can choose to pay the phone line rental in advance and receive a discount on the equivalent monthly cost. Plusnet operates a TV service using YouView boxes to offer premium channels and on-demand content in addition to Freeview broadcasts. There’s a choice of a basic YouView box without recording, or a YouView+ box with a hard drive for up to 300 hours of TV. At present this is not a widely publicised offering. To get Plusnet TV you must have a Plusnet Fibre connection and order it directly from Plusnet. As a reseller of BT Openreach services Plusnet broadband is available to the vast majority of homes in the UK - you simply need to be within range of a BT telephone exchange. However, the exact type of broadband you can get will vary. In some areas there will be the choice of both standard ADSL and fibre broadband, others may find that ADSL is the only option. When comparing broadband deals enter your postcode into our comparison table to filter the offers by availability. To find out more about broadband coverage visit our local broadband page, where you’ll find links to helpful resources and guides for specific towns and cities. Plusnet Broadband - 10Mb average download, up to 1Mb upload. Plusnet Fibre - 36Mb average download, up to 1.9Mb upload. Plusnet Fibre Extra - 66Mb average download, up to 19.5Mb upload. The exact speed you receive will depend on your distance from the exchange and the quality of your phone line. The performance may also fluctuate at peak times. For further help with this topic read our broadband speed guide. All Plusnet broadband deals come with unlimited internet usage. That means you can download and upload as much as you want and never be charged extra. When it comes to traffic management, Plusnet do have a system for prioritising certain activities which is used to maintain performance for “high priority” tasks like VOIP calls, streaming and gaming, while low priority activities (such as file sharing) are slowed. Plusnet offers excellent value for money. Despite being at the budget end of the broadband market their service boasts strong customer support, free installation (most of the time), a variety of flexible plans (including monthly “no contract” broadband) and features for more technical users, such as optional static IP and the ability to use your own Wi-Fi broadband router. It has also introduced a fixed price guarantee for all new contracts so you don't need to worry about mid-contract price rises. But you should also be aware that Plusnet has different pricing depending on your location - if you’re in an area classed as “non-low cost” you’ll find it’s more expensive. Plusnet is a regular winner in our annual home broadband survey and it once again had an exceptional performance in 2018. Plusnet received the highest ratings for customer care, reliability and trust. It was also the most recommended provider. 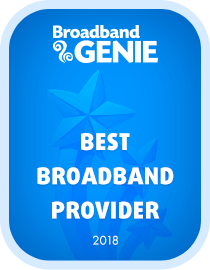 Overall, it was voted Best Broadband Provider 2018.